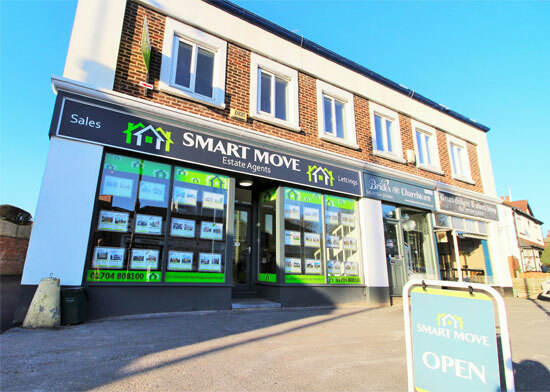 Smart Move began in 2014 with a simple ethos of an honest and professional estate agency, bringing excellent competitive rates to the current market, and therefore quickly becoming the areas most popular independent High Street Agent. Our Smart Move team pride themselves on superb customer service, with a friendly welcome to anybody entering our offices. Whether you are looking to purchase a property or sell your house, you can be sure that your decision is in safe, reputable hands. We have experience in property stretching over many years, each member of staff brings something special to what they do on a day to day basis and our doors are always open. When valuing properties, we look deeper into the credentials needed to giving your house the perfect chance of becoming the next sale, with genuine interest in getting the best outcome for every person that is on board with us. If you are looking to buy a property with your family, your partner or just for yourself, we carefully select those that suit the criteria you are looking for, ensuring that the next place you choose to live will be the perfect fit for you. Whether you are looking for a large garden, open plan living or car parking space for the whole family, we will match you up with the best place possible! With Smart Move being one of the largest independently owned and operated agents in the area, it gives us that personal touch where others can’t. Everybody working for Smart Move is carefully selected to fit the mould of our team. Quality communication, and fabulous team work makes the Smart Move dream work. We consist of local people working in the local area, building relationships with the local community, there is something different about Smart Move when it comes to how we operate. It is with a love for our job, and a genuine care for those we work with. We work closely with the likes of Rightmove, allowing you to access properties as easily as possible, and giving you the largest amount of website traffic available if you are looking to sell or rent a property. Websites such as these give the ability for all properties to be broadcast on a larger scale. Then allowing you to delve deeper into the Smart Move website, to properties specific to us. Here on our website you can find the different services we carry out, from the latest Featured Properties, to getting your own house valued by one of our professionals. A large Social Media following on Facebook, Twitter and Instagram, we are always looking to branch out further and find out more about what makes the local community tick. Whether it’s preparing your home for a viewing or a post-sale interview, we will be producing lots of different content over the next coming months, so keep an eye out and keep connected! Are you making the Smart Move?